Do you remember your child’s first day at school? You walked to the classroom hand-in-hand, your child in uniform, and you, holding the handles of the bag and lunch box. At first you were nervous, but soon you saw your baby make a new best friend, read, color, count and sing, and had the best time in the world. As time went by, each day became exciting because your child always came home with plenty of new things to report. One day, it was making it to the choir. At another, it was joining the science fair; then, a moving performance in the school play; soon, a high score in the finals. Who can forget such precious memories? Through the years, you saw how thrilling the gift of education was, as knowledge and experience opened your child’s eyes to life’s hopes and dreams. Time flies. It’s Graduation Day! A day to celebrate the start of summer. A new grade. Entering high school. Going away to college. Or starting a career in the real world. And through it all, they made it with you patiently guiding them through the priceless moments of school life. You always woke up early to make baon, to put together outfits for the UN Celebration or the school play, to sit with them for homework, or prepare ice cold drinks and sweet treats for the study group’s merienda. And always, you celebrated memorable achievements at the dining table with the whole family, finishing with the delicious celebration cake for dessert. On Graduation Day, mark sweet endings and new beginnings with Red Ribbon’s Black Forest Cake, available in all Red Ribbon branches for only P550. Your family will surely love exchanging memories over a festive blowout topped with Red Ribbon’s chocolatiest Black Forest with a cherry twist, made with moist chocolate cake with cream and cherry filling, topped with shavings of chocolate and the reddest of cherries. Move your son or daughter to happy tears with this classic Red Ribbon offering. Graduation day won’t be complete without this queen of celebration cakes. 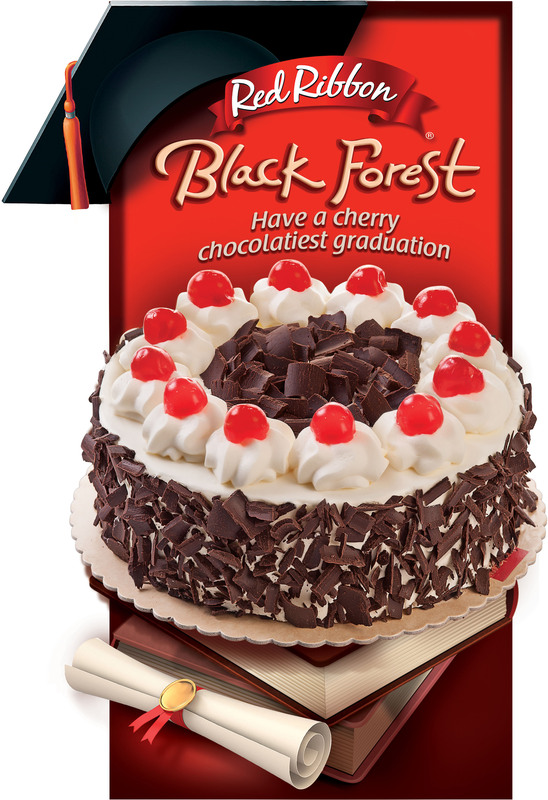 Remember the date with a Red Ribbon Graduation Day Black Forest Cake, and let your child feel the privilege of reaching for new achievements that will make you proud. Congratulations to the best mom for a job well done! Science of Stupid : What went wrong?